A sliver of healthy fare, a sliver of indulgence, and sometimes a sliver of each! I saw this recipe online at foodgawker last fall. 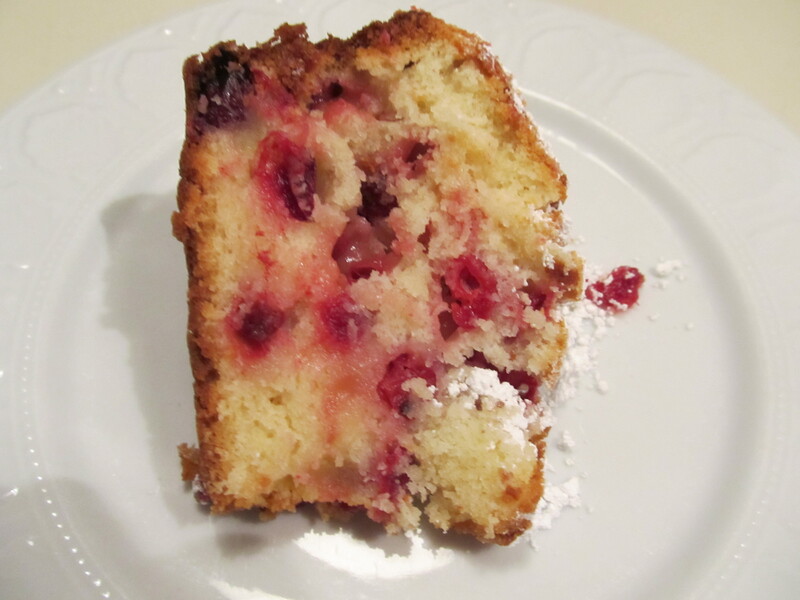 It was full-on cranberry season, and I wanted something sweet to make on a Sunday afternoon. This was the perfect thing! It comes together in a snap. Then bakes up nice and golden . 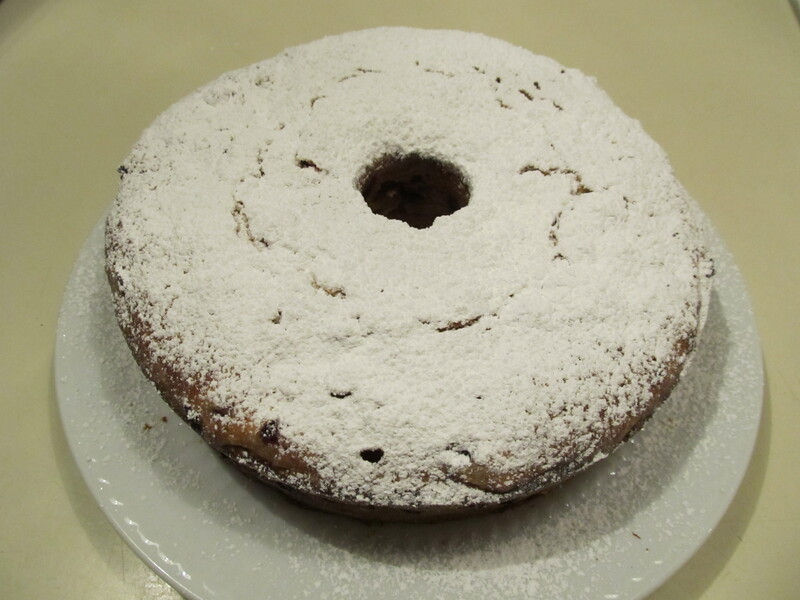 You can either do a glaze for this cake (maybe a nice orange-flavored glaze would be nice) or powdered sugar. We kept it simple with powdered sugar. Look how nice it looks. It was so moist and delicious. 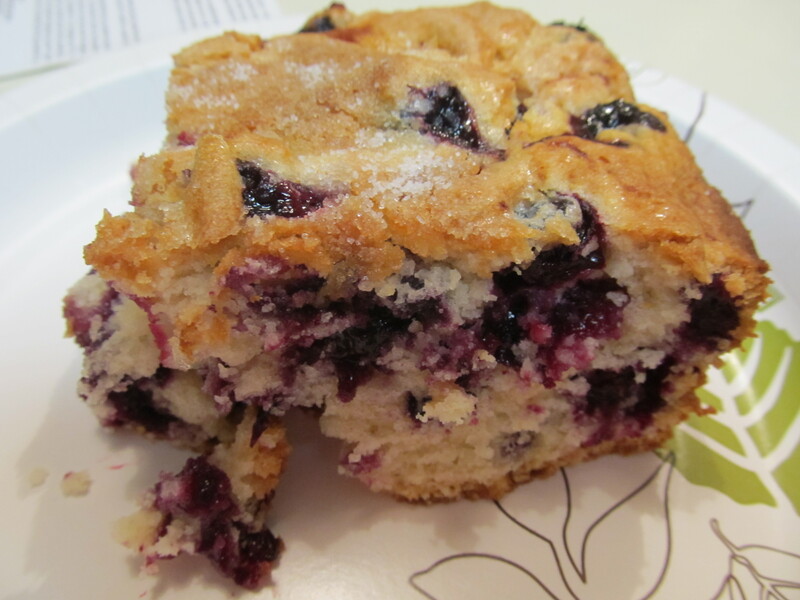 I could see this as being a perfect breakfast cake or housewarming cake. Preheat oven to 350 degrees. Grease and flour a Bundt pan. In a medium bowl, combine the flour, baking power and salt and mix well. 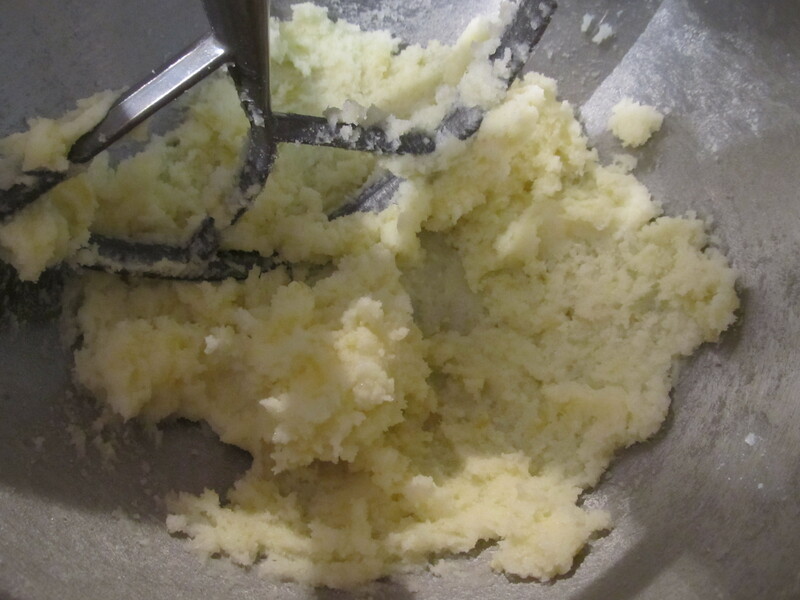 In the bowl of a stand mixer, fitted with a paddle attachment, cream the butter and sugar together until fluffy. Add the eggs and vanilla and mix until well-combined. 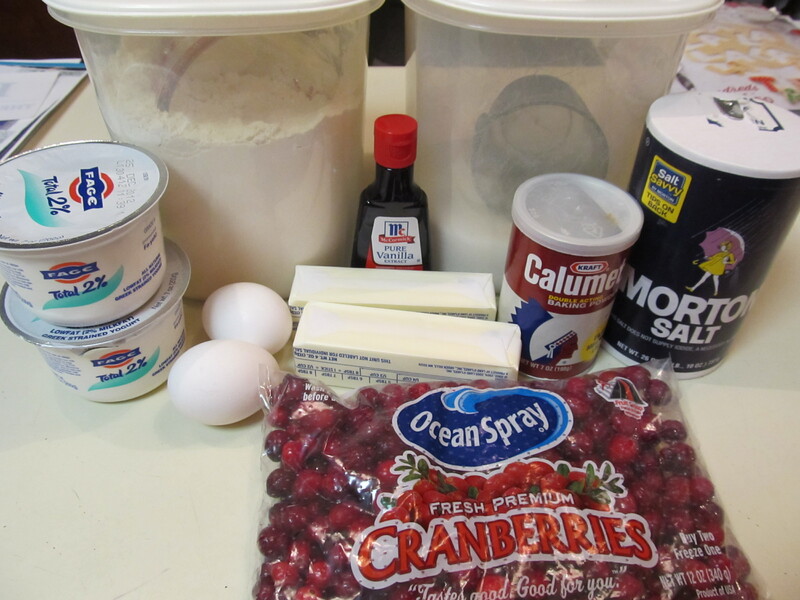 Fold in the Greek yogurt and about half of the cranberries. 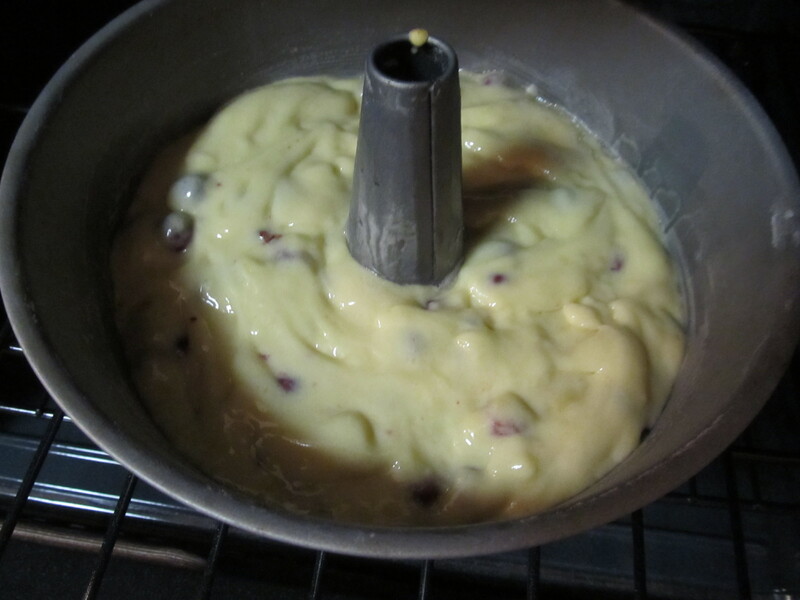 Spread half of the batter into the prepared pan and spread the remaining cranberries on top of that layer. Cover with the remaining batter. Bake in the preheated oven for 55-65 minutes until the edges are golden brown and a toothpick inserted in the middle of the cake comes out clean. Cool completely before cutting. Blueberries are in season!!!! There are so many blueberries everywhere and I love it. 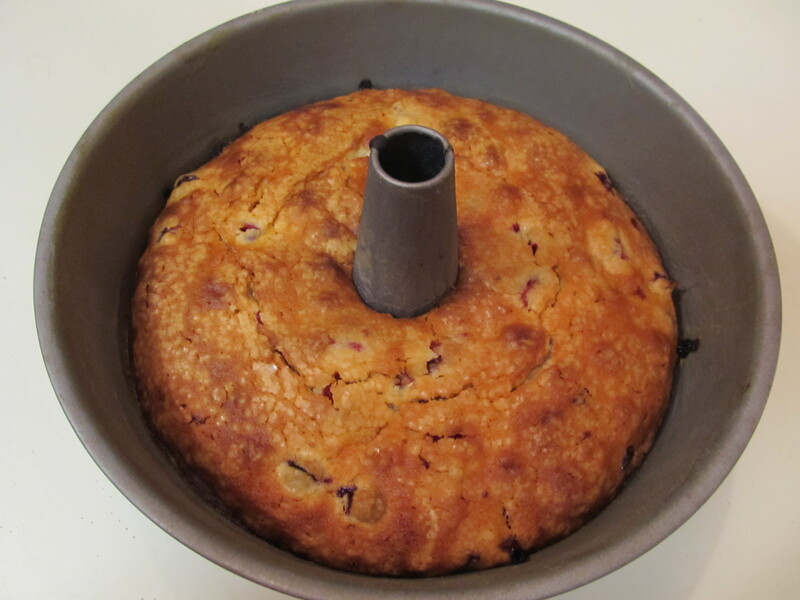 What to do with so many blueberries……make a casual cake! 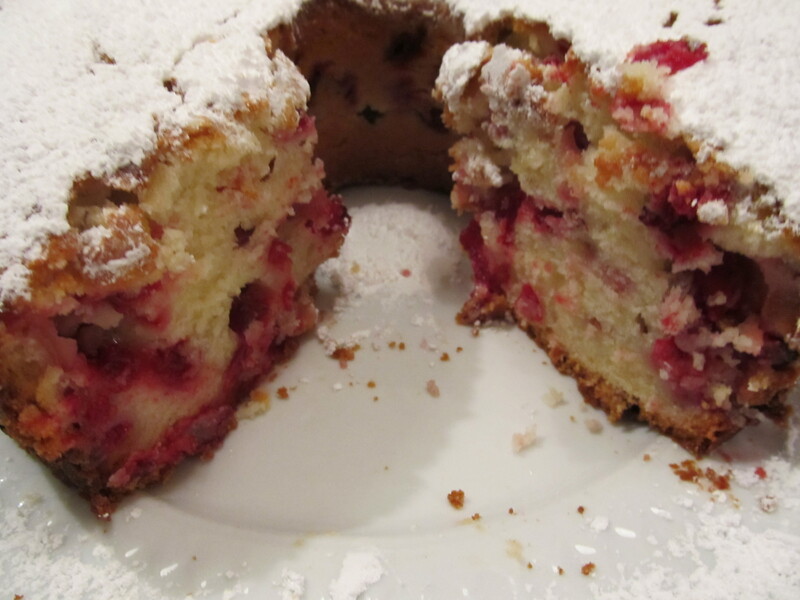 This cake is absolutely simple and yummy. 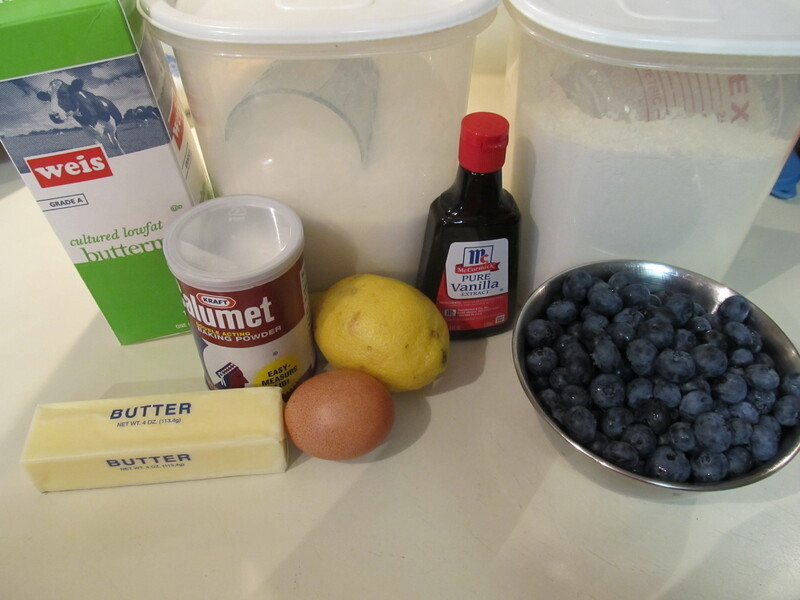 It uses lemon zest and buttermilk to set it apart from other blueberry cakes. This cake would be great to serve for a casual get-together in the evening, or a brunch in the morning! Preheat the oven to 350ºF. Cream butter with lemon zest and 7/8 cup of the sugar until light and fluffy. Add the egg and vanilla and beat until combined. 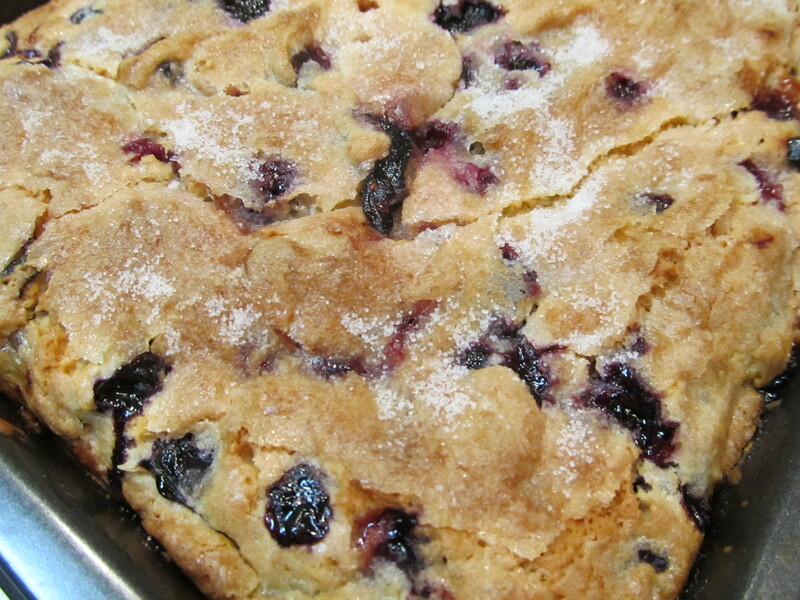 Meanwhile, toss the blueberries with ¼ cup of flour, then whisk together the remaining flour, baking powder and salt. 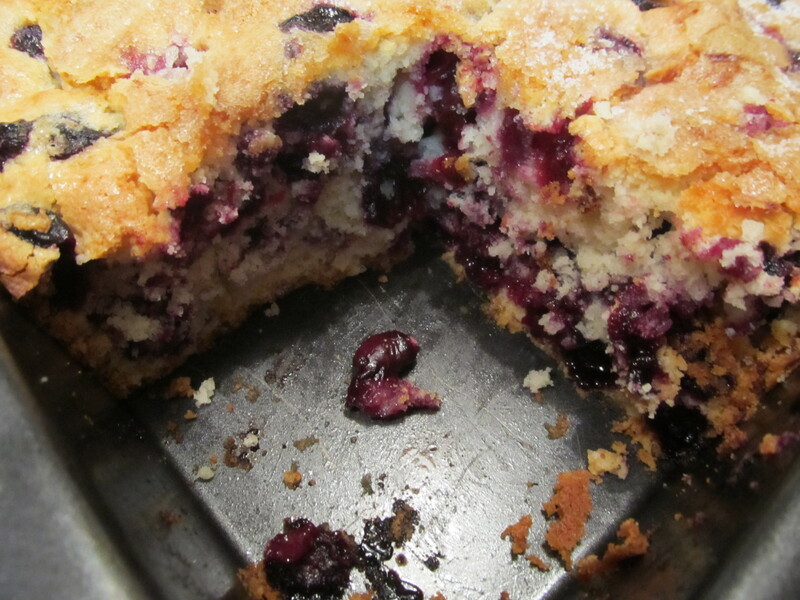 Add the flour mixture to the batter a little at a time, alternating with the buttermilk. Fold in the blueberries. 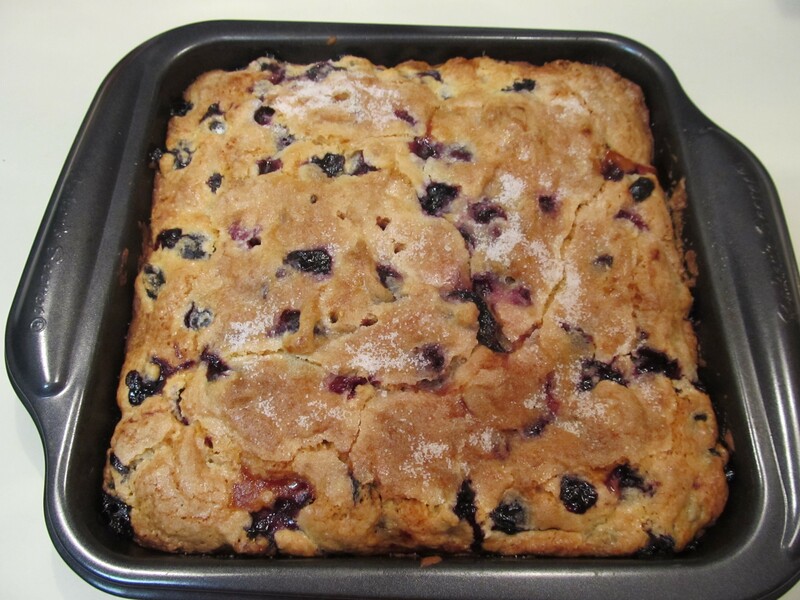 Grease a 9-inch square baking pan (or something similar) with butter or coat with non-stick spray. Spread batter into pan. Sprinkle batter with remaining tablespoon of sugar. Bake for 35 minutes. Check with a toothpick for doneness. If necessary, return pan to oven for a couple of more minutes. (Note: Baking for as long as 10 minutes more might be necessary.) Let cool at least 15 minutes before serving.